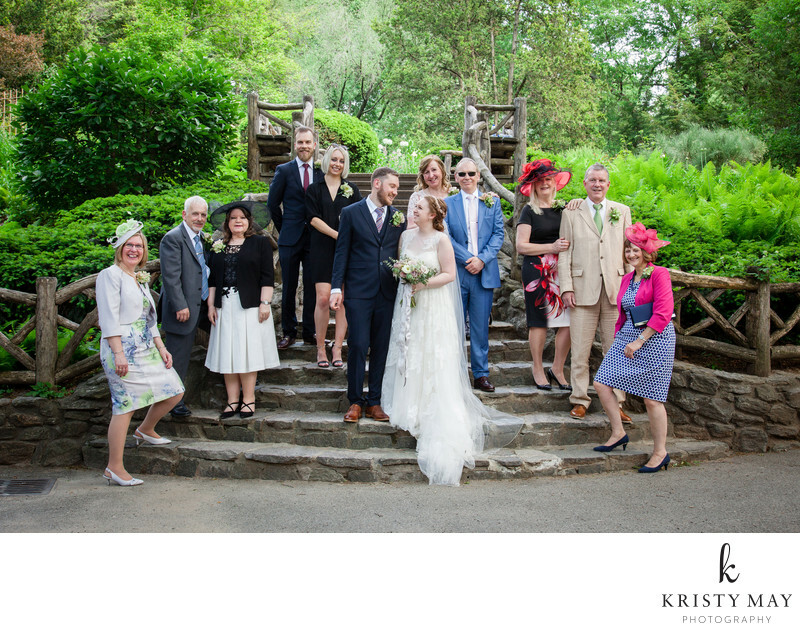 After an intimate wedding ceremony, a wedding party group portrait is made on the steps to Shakespeare Garden in Central Park. The Springtime is an ideal time to experience the garden and its lush foliage and cultivated flowers. Location: 79th St Transverse, New York, NY 10024.